If there is one reason one should always wear a bra, it’s the flexibility to go for a swim at any time. A little further down, we spotted a few guys carrying surfboards. Eh? Curiosity piqued, we followed them and wound up at a bridge where surfers were queued up on both sides of the river, taking turns to ride the waves that surged out from under the bridge on a rolling basis. Munich may be landlocked, but the surfers have found ways to get their fix. 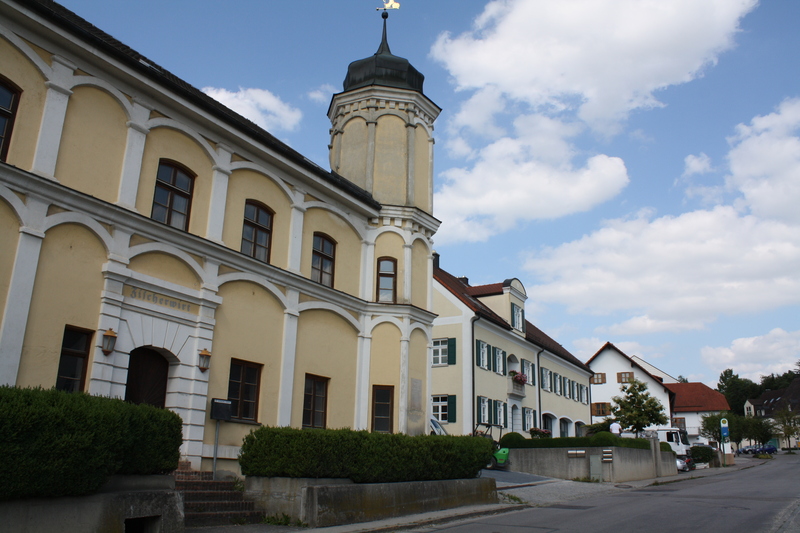 Our Hospitality Club host happened to live in Kranzberg, a small village north of Munich, in an ancient farmhouse where the bathroom floor sagged and they made their own apple juice. (It was hands down best apple juice I’ve ever tasted, and we must have guzzled close to a dozen bottles during our stay.) Not only was the surrounding interesting, he was a fascinating character himself – an accomplished scientist with a bunch of patents to his name, an artist, a musician, and an extensive traveller. Despite a shaky start – I literally haven’t gotten on a bike for over a decade –he let us use his bikes for a day trip, and oh boy. We killed ourselves out there. Riding to secluded lakes for a swim, through forest trails and to nearby Freising took us the better part of a day, and we felt it all over the next day. I literally had bruises on my thighs for a week (a combination of bad technique and a too-big bike, methinks). There’s plenty to satisfy gearheads in Munich, not least the BMW Welt (free to visit) and the BMW Museum (not free). You can also rent a BMW, either by the hour, for a day, or overnight – they call it a test drive, but they charge you for the privilege. That said, it’s not a bad price, and if you’re under 25 you won’t be excluded – you just won’t be able to take out the higher powered models. How it works is that you pay by the hour for up to three hours, and beyond that, you won’t pay any extra for the whole day. It’s a wacky way to structure pricing, but it’s a good gimmick. More info and fees here. I love the idea of traveling he countryside on a bike. It is slow enough to see everything and you can stop anytime you want. There is bike/cruise where you travel by bike in the countryside and spend your nights on the cruise ship. Some day, I want to try it. Exactly. That makes the trip A LOT exciting and enjoyable. I stood, memorized by the surfers — they’re CRAZY to just jump in like that! Whoa! 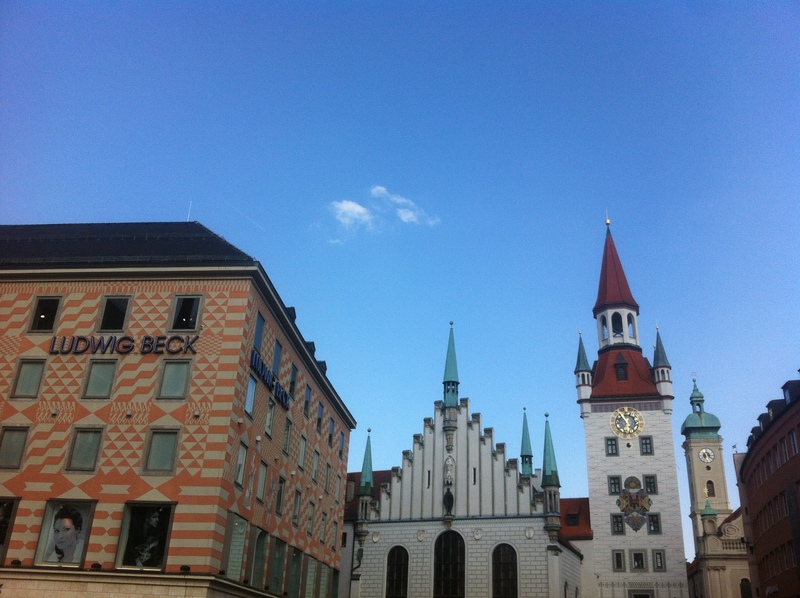 I was mesmerized with the city of Munich! Great post! Wow. River surfing sounds like fun. Do you have pictures, though? Got some videos – might eventually get around to doing something with all our random footage!